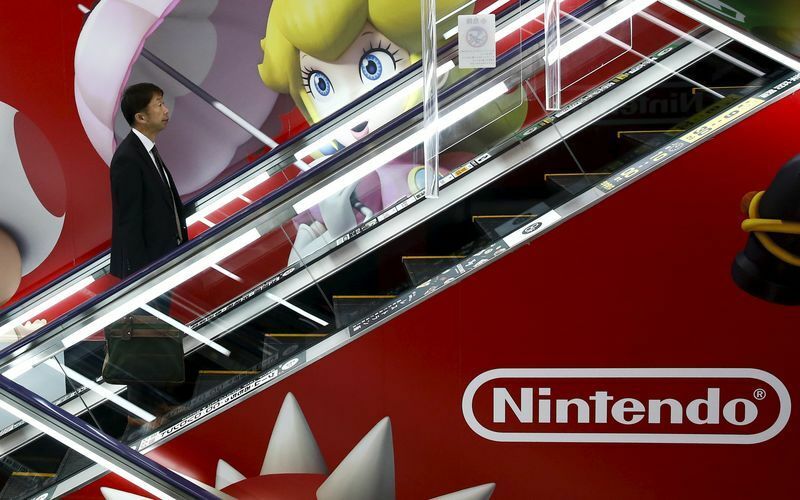 TOKYO (Reuters) - Movies like "Mario Kart" and "The Legend of Zelda" could soon be coming to a theater near you. Nintendo is in talks with several global production companies about expanding its video content business, including making movies, said Tatsumi Kimishima, president of the Japanese videogame maker. The move is aimed at strengthening Nintendo's character business and expanding the global gaming population, he told the Asahi newspaper in an interview published Monday. "We're talking with various partners. I think we'll be able to decide something in the not-too-distant future," Kimishima told the Japanese daily. Kimishima declined to say when any projects would be announced but said it would not be as far off as five years. He would not say which of Nintendo's popular characters were being considered for use. A Nintendo spokesman told Reuters that Kimishima's comments referred to "video content" but did not deny the possibility of making movies. Nintendo is diversifying its operations to counter a shrinking console business. It has entered the fast-growing mobile game segment and reached a deal with NBCUniversal to develop theme-park attractions. In fact, Nintendo already allows film companies to use its characters through licensing agreements, such as for the "Pokemon" franchise. There was also a Hollywood live-action movie based on "Super Mario" in 1993 but it was a box office and critical bomb. But Kimishima told the Asahi that this time, Nintendo would like to do things itself as much as possible, rather than just licensing out its content, and said it was unlikely to be live-action. In 2014, "Super Mario" creator Shigeru Miyamoto screened a 3D short-animation film based on Nintendo's Pikmin characters at the Tokyo International Film Festival, and in an interview with Reuters left the door open to future film projects. How Did "Clash of Clans" Conquer the World Game Market?